A new personal best. "Well done"
Making Addictive Carp Baits For Big Fishing Catches! Most anglers who buy baits use them with blind faith because they really do not appreciate what actually happens in the fish that induces fish to take a bait into their mouths; so getting hooked! Imagine the power of being able to harness this vital knowledge in practical fishing and actually influence intense fish feeding responses and other behaviours (like location). How much do think this advantage over the fish and over other anglers baits will multiply your catches? Read on now! Most anglers use readymade carp baits because they have become conditioned to because of easy availability, but confidence form slick advertising and advertorials etc are most often the bait that hooks such anglers and certainly not first-hand experience. Often the catches on new baits are made by the best, sharpest and most aware anglers using the edge of a new bait, and most anglers over-look this. If you have not used a bait before and not only do not know what it is made with nor how it works in detail, then my friend, you are fishing on blind faith not confidence. Bait science has so many powerful secrets to reveal but often might seem a little tricky and even seemingly irrelevant for many anglers. But you don't know what you are missing until you find out... For instance, in realising the enormous significance of the fact that chemicals change in solution with water impacting on water and fish internally and externally in very many ways that make them easier for you to catch! And another simple thing; many substances are simply not the same in water as air, and fish are experiencing different chemicals all over their bodies and not just on the tongue or in the nose like us humans. Imagine garlic on the tongue; it is mixed with air and saliva, but in mixed just water, garlic produces different compounds and the tastes and smells we experience as humans will be different ones that carp experience. This means that the flavours or pungent smells we might imagine impact on the fish may well not be present in the same form at all, and this might mean that something else is triggering a response from carp, even an internal one where something in garlic is acting to produce thermogenic (metabolism and digestion speeding-up effects for example,) and even have very potent antioxidant and antimicrobial impacts etc. What a disappointment it was to eat the wheat-free foods and not want more! Although they still have all the same ingredients like the flavours, sweeteners and enhancers etc, something vital was missing that made me want to keep on eating and this is why I only had one doughnut; Homer Simpson would have been shocked to say the least! There was no key vital ingredients substances in the food to make my brain release a rush of feel-good hormones that occurs naturally in the wheat-based foods. If you ate food frequently that tasted and smelled good but had no further incentive to keep you eating more of it, you will more than likely eat something else in preference if that food does has an extra feel-good brain chemical releasing impact. The bait or food which creates more pleasure is preferential in humans and it is the same in fish! You brain chemicals are directing your actions on a basic level and when it comes to the impact of a key part of wheat, your actions as a result of eating it can very easily be to eat more; more cake, toast, biscuits, doughnuts etc, this is one vital reason people so easily over-eat these foods and create behavioural cyclic eating problems! When you look, you won't believe how hard it is to get away from wheat in your diet as it is exploited so much in modern foods to get you to eat more and buy more in regular, habitual ways! 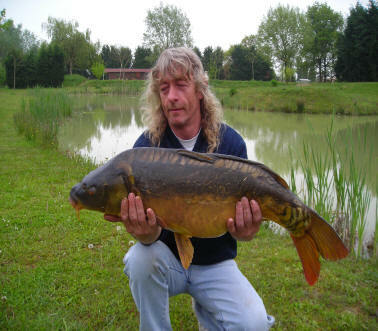 Even in carp fishing it is recognised that fish eating baits without supplemental nutritional foods can drop weight as with fish addicted to tiger nuts or peanuts alone, so using such things as part of your nutritional bait is a massive edge. You might not call it manipulating carp behaviours in your favour, or call it creating addictive or habit-forming behaviours, but in practice it seriously works. Many of the most popular leading commercial baits may display one or various of these such effects. With food in relation to bait; you are your own guinea-pig every day and becoming more aware of your own specific food intake, and mood and behaviour, energy and feelings responses can really help your own health and vitality and this can truly catch you far more big fish when applied in practice! These edges are supplied to you by the bait secrets ebooks author with more experience of eating healthy biscuits and doughnuts (probably,) than any other author!